One, when appropriate and possible, to include children through college choirs as part of performances. Two, to champion young local composers to commission new works for the choral. Three, to increase the use of accompanying instruments. Recent concerts featured major works, with chamber size orchestras, by Mark Hayes, Dan Forrest, John Rutter, and Rene Clausen, as well as a number of anthems spanning music from Baroque to the present. Singers come from a diverse group of church backgrounds throughout the Twin Cities for 11 rehearsals and 4-5 concerts each Spring and Fall. TWIN CITIES MASTER’S CHORALE is a non-profit, tax-exempt 501(c)(3) organization. All contributions to TCMC are tax deductible. The Chorale is dependent on concert offerings, member dues, and donations from friends. They perform on a free-will offering basis. Larry Bach is the current Conductor and Artistic Director of the Chorale. Professor Bach currently serves as the Dean of the College of Fine Arts and conductor of choirs at North Central University. He also serves as the Canticle Choir director for St. Andrew Lutheran Church in Eden Prairie. Bach was a longtime singer and served several years as an associate conductor with the Dale Warland Singers. Bach has also been a frequent guest conductor and clinician for churches and high school choirs. 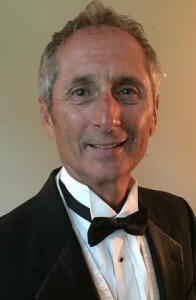 A lifetime member of American Choral Directors Association (ACDA), Bach holds a BA degree in vocal performance from West Virginia Wesleyan College, a MM (Master of Music) in choral conducting from the University of Minnesota, and has completed all course work and examinations for the DMA (Doctor of Musical Arts) in choral conducting from the University of Iowa. Dr. Joshua L. Tompkins is the Accompanist of the Chorale. Tompkins is an active pianist, recording artist, arranger, educator, and conductor. He earned his Doctorate of Musical Arts from the University of Minnesota under the tutelage of Professor Alexander Braginski. Tomkins enjoys performing a variety of music ranging from classical to sacred, jazz, and popular music. He has recorded for National record labels as well as his own private label all representing his interest in a variety of musical genres. 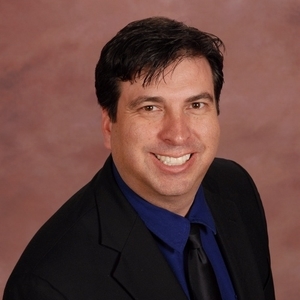 Tompkins is currently a faculty member at North Central University where he teaches music theory and piano as well as being the Director of Music at Presbyterian Church of the Way.